Porochista Khakpour is featured in New York Magazine’s special immigrant portfolio issue. Porochista Khakpour’s Prairie Schooner 2015 essay “Federer as Irreligious Experience” was selected by Jonathan Franzen as a “Notable” essay for the 2016 Best American Essays. Khakpour is featured in TIME magazine (11/21/16) for her thoughts on art and activism under Trump. 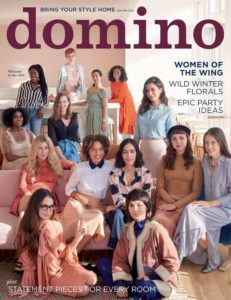 Khakpour also joins fellow The Wing founding members on the cover of the Winter 2016 Domino Magazine.